It’s official: China Mobile will sell the iPhone, bringing Apple(s aapl) roughly 760 million opportunities to boost both its market share and iPhone revenues. That’s roughly how many subscribers China Mobile has: Nearly three-quarters of a billion. Surely, Apple will only capture a percentage of that total but even a reasonable 10 percent would total a whopping 76 million iPhones. Putting that in perspective: Apple sold a total of 33.8 million iPhones last quarter on all carriers combined. 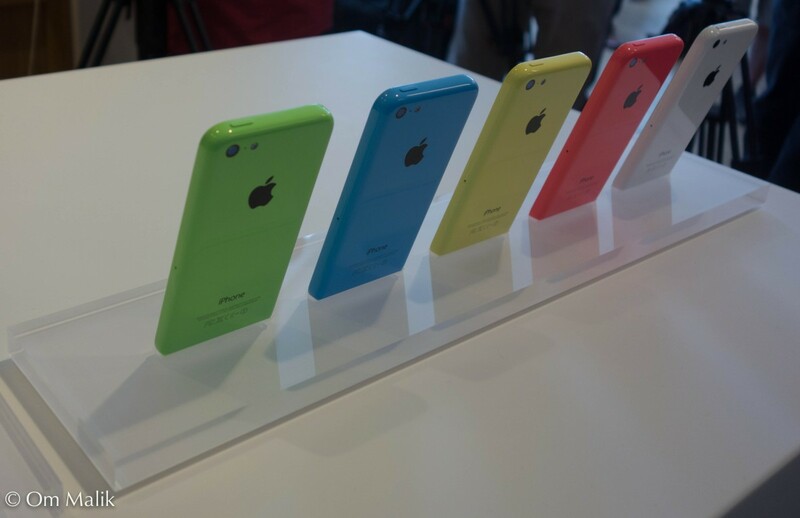 The iPhone officially launches on China Mobile on January 17, 2014, but starting on December 25, customers can pre-register for the either the iPhone 5c or iPhone 5s. As we suspected, this deal requires a completely different model for either phone because no currently available iPhone supports China Mobile’s TD-SCDMA 3G network. Apple says the new handset will work on that network as well as China Mobile’s new 4G TD-LTE service. China Mobile now has over 1.2 million 2G/GSM, 3G/TD-SCDMA, 4G/TD-LTE base stations and over 4.2 million Wi-Fi access points, providing broad coverage to quality networks for iPhone 5s and iPhone 5c customers. China Mobile is rolling out the world’s largest 4G network. By the end of 2013, China Mobile’s 4G services will be available in 16 cities including Beijing, Shanghai, Guangzhou and Shenzhen. By the end of 2014, China Mobile plans to complete the rollout of more than 500,000 4G base stations, which will cover more than 340 cities with 4G service. The best way for a carrier to recoup the billions of capital for such an infrastructure project is to get as many people on it as quickly as possible and on a device that has a high level of customer usage on network. I won’t hazard a guess as to actual iPhone sales for China Mobile, but I can’t think of a better phone to get in people’s hands to take advantage of the new network. To really fully capture the benefit of accessing China Mobile’s 700 million customer base, Apple needs to know the customers and what they want – for one thing, most can’t afford $650 devices and love to rock the Apple brand without breaking their bank. A $399 mid-tier iPhone would do really well. China represents a potential financial bonanza for Apple for at least four reasons. Itâ€™s the worldâ€™s largest consumer market with a population of 1.3 billion. It has the worldâ€™s largest Internet user base at well over 500 million and growing quickly. I think this gone a really big deal for Apple. That’s a great point, John. I’ll be curious to see how this sceanrio pans out over the next 6 months or so to see what is promoted by whom. Thanks! Yeah, while this nonsensical comparison: “Selling iPhones to just 10% of China Mobile subscribers would be twice that of the 33.6 million sales worldwide last quarter” applies — What 10% of China Mobile’s total base has to do with Apple’s single-quarter sales is completely unclear — the strategy behind the deal has nothing to do with the fallacy in the article you linked. As noted in the article, Mark, it’s simply for a frame of reference to put some perspective about how big this deal is and its potential. It’s not meant as a prediction or apples to apples comparison.